A mother’s love is like no other. Isn’t that what they say? Nobody will love you quite like your mother does. She is your first attachment; a sacred and special bond that is brimming with love. Sadly, it isn’t the case for everybody. If your parents were not loved in a healthy way by their parents, it is unlikely they are able to do this for you unless they’ve made a conscious choice to break the cycle, go within and change. The same applies if you felt you didn’t get what you needed when you were growing up. It helps if you can understand your relationship with your mother. How did your mother love you? Did it feel good to be loved by your mother? Did she give you what you needed? Did she understand and validate you? Was she there for you when you were afraid, lost or poorly? I think it’s fair to say that parenting is not easiest job in the world and this is not made easier by the fact that your child is not born with a set of instructions. Of course, this is because every child is different and one size does not fit all. It is really moving to see the utter surprise on the face of every mum listening to their child’s feedback. It highlights how lots of mums beat themselves up and worry about doing the right thing by their child. However, the simplicity of the child’s nature is such that they feel love and notice it in all the little things their Mums do for them. That said, you can ‘love’ too much and stifle your children. Although of course, this is not love. Love is not about control or suffocation. What is love all about? Sometimes what appears to be love at first glance, on closer examination really isn’t. Below are some parenting behaviours that have seemingly loving intentions but actually hamper a child’s development and self esteem. Don’t panic if you can see yourself in here. Things go wrong (often and frequently) in this thing we call life and it’s the mopping up afterwards that makes all the difference. Showing your children that we sometimes don’t get things right makes us human. Showing your children that in spite of your perfect imperfections, your intentions were loving and that you love yourself and them anyway. REALITY: projecting your fears onto your child is teaching them to be fearful of life. Whilst the media inform us more and more of kidnapped, abused and murdered children and this feels very frightening, the reality is that more than 90 percent of victims know their perpetrators in some way. So how can we keep our children safe in these unsafe times? REALITY: where do you stop and where does your child begin? When children are tiny, the are totally dependent on adults but as they learn and grow into well-rounded adults, there is a balancing act of knowing when to step in and help them. Rescuing them too often from bad feeling, negative people, natural consequences of their own actions will massively stunt their development. Life hurts sometimes. Life can be tough but it’s how you handle it. Whilst you can manage some of that as a parent and lovingly guide them through it, you can’t do it for them. They need to fall over so they know how to get up again. They need to forget so they can learn to remember. They need to learn how to resolve friendship wrangles so they can build healthy adult relationships and so on. REALITY: you may know your child better than anybody, however being rigid in your thinking so that only your way is right means that children are expected to follow strict rules. What can happen is that failure to follow such rules usually results in punishment. Authoritarian parents fail to explain the reasoning behind these rules. If asked to explain, the parent might simply reply, “Because I said so.” These parents have high demands, but are not responsive to their children. According to Baumrind, these parents “are obedience- and status-oriented, and expect their orders to be obeyed without explanation” (1991). REALITY: children are very emotional and irrational as they are not able to process like adults. Even when they are happy or over excited they may scream and shout. They tend to exhibit maladaptive behaviours to communicate their pain. 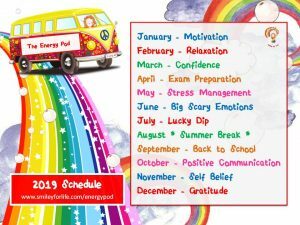 For parents who are not able to withstand their child’s negative emotions (or making some emotions like anger or fear unacceptable) means your child will find it very difficult to handle their emotions when they are older. Suppressed emotions over a long period of time can also lead to chronic illness, depression and anxiety. Never minimise your child’s feelings no matter how silly they may seem to you. Minimising and dismissing invalidates who they are. Children need their parents’ validation like the air that they breathe. You are their mirror. REALITY: labelling a child according to the way you see them behave is self fulfilling and children will grow up to fill those shoes. Children want to please you. What you think you become. It’s rooted in our belief system and all the messages we got whilst we were growing up. They stay in us for years to come and sometimes we bury them deep but we still behave in ways as if those messages were true. Be careful what message you give to your children and that you are not locking them into a role. It’s about their behaviour anyway – not them! REALITY: be careful that what sits behind this loving intention is one of your unfulfilled ambitions which means that you will bask in your child’s glory and vicariously life your life through your child. Your child is a an individual who deserves the chance to explore and discover what feels right for them. In not doing so, your child may grow up with feelings of not being good enough as they are unable to fulfil your needs no matter how hard they try. REALITY: permissive parenting or sometimes known as indulgent parenting without loving and respectful limits for your child could produce children who lack self discipline and may be self centred and demanding. Children may also become insecure as the lack of boundaries feels unsafe. Don’t feel like a meanie, when you are setting boundaries as it is good for your child. They need to know you can hold all their stuff for them and how far they can go. You don’t have to be cruel to be kind. You can set limits in a firm and loving way which shows that you are not punishing but understanding and guiding. REALITY: roots that do not bind and wings to fly freely so your child can be their very best self are the hallmarks of a secure and loving family. Love does not enmesh or control. Some parents can have a very hard time of it when their children separate themselves out as individuals. As hard as it is not to take your child’s separation personally or for them to disagree with your opinions or values, this is them growing up. Be proud of the person they are becoming. Support them in their discovery of self and love them anyway. Help them notice their strengths and encourage them to work on their challenges. They may shout all manner of spiteful things like ‘ I hate you!’ or something equally as damning. However do not take it personally. Hormones and discovering being their own person is at the heart of their behaviour. Not malice or hurtfulness. REALITY: if you are a parent, you can’t be their friend too. Parenting is a relationship but not a friendship. Friendly parents sometimes without realising over share and burden their children with things they do not need to know. Children are not emotionally, intellectually or morally ready for that role. They are not grown up enough to process grown up stuff. Being your child’s friend can also create problems with setting boundaries – it’s harder to hear no from a friend than a parent and it sends conflicting messages to the child. It may also mean you are not consistent in your words and actions. Some days it will be harder to be consistent than others, but this is an act of love that will help your children quickly learn what is right and wrong. REALITY: quite naturally parents who didn’t get what they needed growing up, may want to give it to their children in spades. Whilst the act of giving is full of kindness and a child who is brought up in a privileged environment and wants for nothing is considered lucky. This does not mean that the child has to be grateful for the choice its parents made in wanting to provide this type of lifestyle. Besides, the act of love has nothing to do with materialistic offerings and being a parent is so much more than birthdays, Christmas and the day to day functional acts of childcare. Growing up in this way means the child soon comes to learn that being loved is about nothing more than getting things and needing things. Instead of learning that feeling loved as a child is about self worth, acceptance, validation, understanding and empathy. Love can be demonstrated in lots of other ways too. 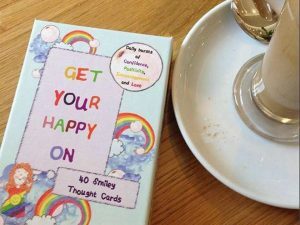 My learning pack Be The Mum You Want to Be will help you deep dive into that a bit further and enable to scope out a new job description for yourself that doesn’t involve you repeating old patterns that aren’t serving you (motherhood has changed a lot and you can style it out your way). 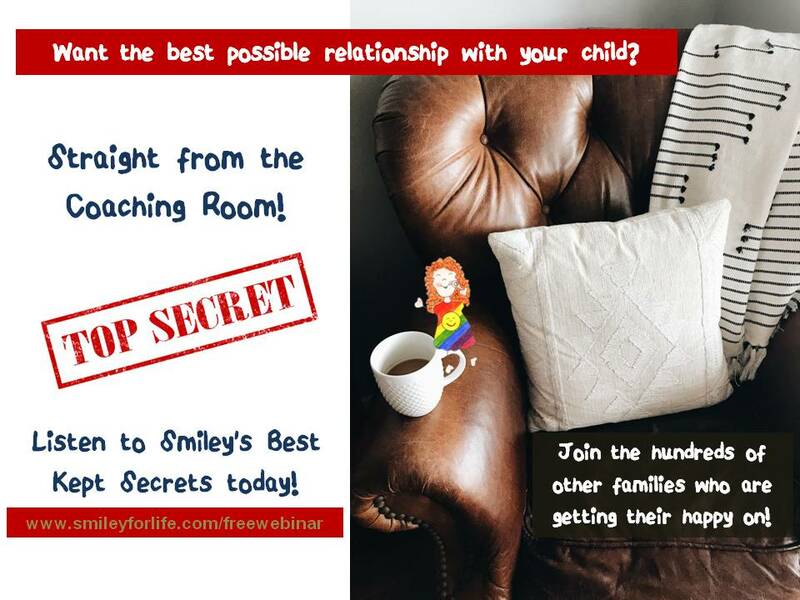 You may also like my free webinar which uncovers secrets from the coaching room to help you strengthen your relationship in a healthy way with your child – click on the picture below). Like all relationships, being a parent takes dedication, hard work and commitment. It is the most challenging and the most rewarding job of our time. I see it as a huge honour and privilege to bring a new life into the world. As ever, love is the answer.